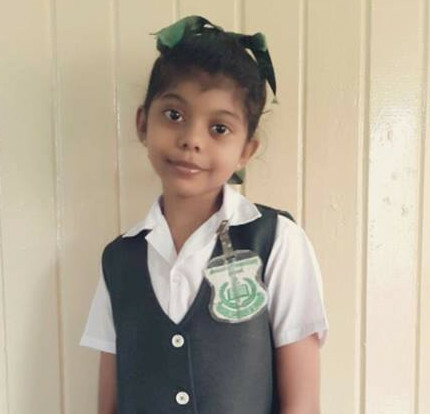 Nine-year-old Rebecca of Guyana started her own Bible club at her elementary school. 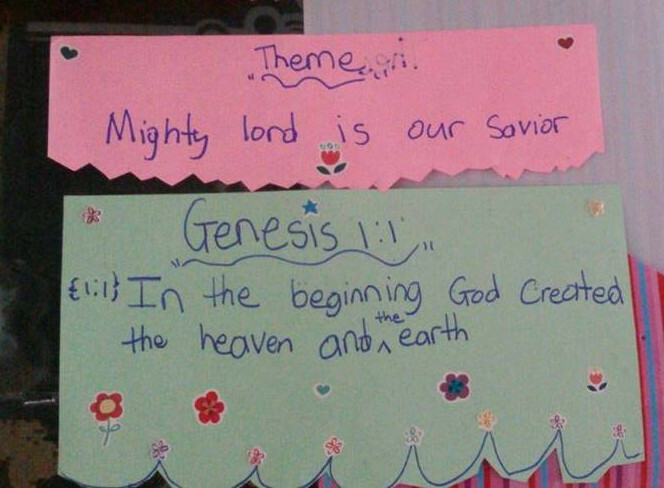 She came up with the program herself, even creating her own theme: Mighty Lord Is Our Savior. She gathered teaching materials, including Mailbox Club booklets, a Wonder Devotional Book and other activities that she created herself. Rebecca begins the club with prayer then teaches from her Mailbox Club lesson booklets and a Wonder Devotional Book . Rebecca says the children like the club and the evidence confirms this fact. The club is growing in numbers and her friends are growing in their relationship with the Lord! Rebecca’s parents are both Christians and her mother is even a Good News Club® teacher. Her parents’ strong godly influence has sparked a love for God and teaching in their daughter. Rebecca says she wants to be a Sunday school teacher in the future. Pray for this young missionary as she helps her friends grow in their faith and others come to believe in Jesus.